We invite you to read the below reviews from our satisfied patients. 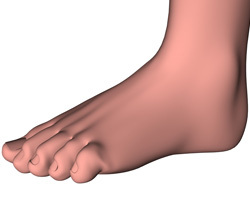 Please visit our Patient Testimonial form to leave a review about your treatments for hammer toe with Quality Foot Care. Call our Ronkonkoma office if you would like more information: Ronkonkoma Office Phone Number 631-467-2813. 5 out of 5 stars based on 2 Hammer Toe reviews. Doctor explained everything I needed to know. He was extremely pleasant and informative. He was extremely thorough on helping me with what I needed to know in regards to the future care of my foot. The lotto ticket was a great thought, won five dollars. Thank you again for a great visit.